Any time you do an online search for health ailments, you’ll see that more often than not, medical providers recommend regular exercise to preserve your health. Ironically, there are actually health conditions named after athletic endeavors, such as Tennis Elbow, Runner’s Knee, and Golfer’s Elbow. So which one is it? Do you exercise for good health, or be wary of getting injured from said exercise? Since we understand the long list of questions and the confusion that can come from a diagnosis, we’re here to help. 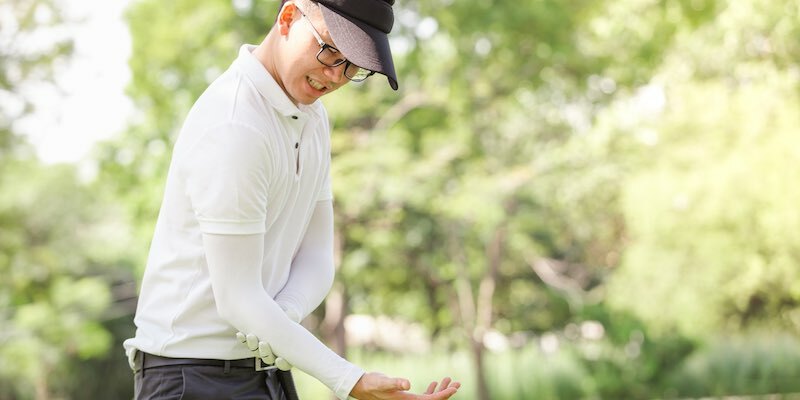 In this blog, we provide an overview of what is commonly known as Golfer’s Elbow and what you can do to treat it and to prevent it from recurring. Muscles are attached to bone through tendons. When the tendons attaching muscles to the inside portion of the elbow become inflamed or suffer from small tears, you experience pain and discomfort in that part of the body. This is known as Golfer’s Elbow (clinically known as medial epicondylitis). Despite its name, the condition doesn’t only affect golfers and not all golfers experience it. It’s usually caused by overuse, whether from a sport, hobby of choice or a job that requires repetitive movements of the arm. It’s also a type of tendinitis. How Long Does It Take for Golfer’s Elbow to Go Away? While Golfer’s Elbow may be resolved with conservative treatment, unfortunately, the healing process can be slow: Depending on the severity of inflammation, it could take three to six months to fully heal. To make sure you recover as soon as possible, it’s crucial to follow all instructions given by your medical provider. Even if you think you’re getting better, if the recommended treatment is slated to last for several weeks, follow it to the letter. Once recovered, make sure to return to your usual activities gradually. The main cause of Golfer’s Elbow is repetitive motion. As soon as you start feeling symptoms, take time to rest the affected arm from the repetitive movement which is causing them. Also, apply ice to the inside of your elbow, for up to 20 minutes several times a day. Wearing a brace is also a good idea to reduce the strain on the injured tendons. If rest, ice, and compression are not alleviating the symptoms, your doctor may recommend taking anti-inflammatory medication or cortisone injections, as well as physical therapy. If conservative treatment doesn’t improve the issue within a couple of months, you may be a candidate for surgery. However, note that this option is usually recommended as a last resort. 1. Warm up. Hand and arm movements and dynamic stretching will warm up your muscles and get them ready for physical activity, reducing the risk of injury. 2. Strength training exercises. Strengthening your muscles allows them to absorb some of the impact of repetitive movements, reducing the stress imposed on your elbow joint. You can do this with hand exercises and lifting free weights. 3. Use adequate equipment. Using sporting equipment that’s too heavy for you will increase the stress on your muscles, joints, and tendons. If you’re unsure about the best equipment to purchase, go to a specialty store or consult with a coach that specializes in your sport of choice. 4. Rest. No matter how careful you are when exercising, your body needs an appropriate amount of time at rest for muscles to recover from repetitive motion. At The Orthopedic Clinic, we want you to live your life in full motion. If you’re experiencing golfer’s elbow, let us help you. We’ll tailor a treatment plan that’s best for your lifestyle and get you back to doing the things you love.